Bringing people together from all corners. Revo combining ‘retail’ and ‘evolution’ promotes the UK retail property and placemaking community. Whether you’re a retailer or an investor, a local council or a restaurateur, a centre manager or a cinema chain, you are a valued member of our growing community, and we’re here to help you to succeed. An open, inclusive forum for business and career development, connecting people and ideas. Raising standards and recognising excellence. Changing policy at the highest level. Providing powerful insight and commentary on the future of our industry. Every penny of every pound we generate is reinvested back into our community! For more information, a chat or just to say hello please contact us. • Do you understand your customers journey? • Are you accurately monitoring the effects of your marketing campaigns and pop-up stores? At Ipsos Retail Performance, we make it our business to know your business. Combining the latest technologies including vehicle counting, footfall, Wi-Fi tracking, facial profiling and behavioural studies, we’ve been mapping the customer journey for over 25 years. Our in-depth analytics will help benchmark your retail portfolio and monitor centre performance, allowing you to optimise store rental based on footfall, advise tenants on store locations and monitor the relationship between visitors and transactions to measure ROI on marketing campaigns. 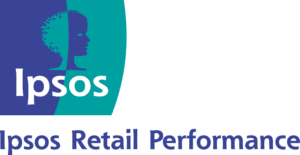 Ipsos Retail Performance is trusted to work with the world’s biggest brands, with external accreditation in ISO 9001- Quality Management, ISO 27001 – Information Security Management and ISO 20252 – Market and Social Research; giving you confidence that our data is always well managed and business decisions are based on superior evidence. The Urban Land Institute (ULI) is a non-profit research and education organisation representing the entire spectrum of land use and real estate development disciplines. Founded in 1936, ULI now has over 37,000 members in 82 countries worldwide. • Corporate ULI members, upon joining, are entitled to one complimentary place on any of Bayfield’s public courses. Corporate members are also entitled to a 25% discount on any Public course place booked by the firm. • Individual ULI members, upon joining, are entitled to a one-time 50% saving and also receive a 25% discount on any public courses throughout the lifetime of their membership. To book a discounted place on a Bayfield course contact Kendal Bahadirgil at +44 (0) 1223 517852. The Amsterdam School of Real Estate (ASRE) is a joint initiative of the Dutch real estate industry organizations, the Dutch national government and the University of Amsterdam (UvA). Project developers, real estate agents, institutional investors, the national government and the UvA joined forces in 1989 to expand and professionalize the expertise in the field of real estate. *Please let us know that you are entitled to a discount at the time of booking. Offers and discounts cannot be used in conjunction with any other offers or discounts.